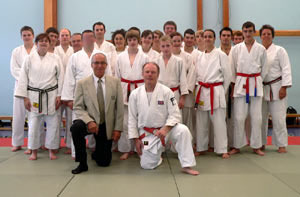 Twenty five senior judo enthusiasts attended a day's seminar under the direction of Danny Da Costa 6th Dan Judo, 5th Dan Aikido. 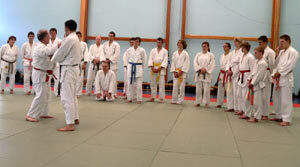 Sensei Da Costa is a highly respected judo player of international and world renown. Having been a champion boy boxer his turn to judo brought him further successes including Silver medallist in the 1972 European Judo Championships and latterly in 2002 he took the honour of World Judo Masters Champion. Danny has developed his own special approach to training, Shinjido, which translates in Japanese to Danny's way. When they are not quite getting it right Danny's on hand. Everyone went away safe, tired and happy, with further knowledge. Thank you Sensei Da Costa.